Pumori Expedition 29 Days is a hard trek. Travelers who can walk up to 6-7 hours a day on an uphill and downhill trail will find this trek fulfilling. It is best that we prepare ourselves for the Annapurna trek by jogging and exercising regularly at least a month prior to the start of the trek. Trekking to the Everest Base Camp should be relatively easier for those who have experience walking/trekking in a high altitude environment. Past hiking experience would be an asset but no technical skill is required for this trip. It is also important that we consult our doctor. Participants with pre-existing medical conditions such as heart, lung, and blood diseases should inform Discovery Mountain Trek before booking the trek. The best time to trek to the Pumori Expedition is Spring (February to May) and Autumn (September to November). The temperature is moderate in these seasons and guarantees amazing views through the trip. Although this trek can be undertaken during winter, the cold temperature might not be suitable for everyone. Pumari is technically challenging mountain offering sections of wild exposure demanding climbers to have previous mountaineering experience and with excellent physical form. The ascent to the Pumori is rewarded with stunning photographic views of the snow-capped mountains, including Lhotse and Everest. The first successful summit of Mount Pumori was made in 1962 by Gerhard Lenser, a member of a Swiss-German expedition. And we set 3 camp above the base camp. Camp 1: Approximately 3 hours of walking from base camp takes us to Camp 1 or Advanced Base Camp at 5700 m. From Camp 1, there is a 500m walk. With slopes of 40 to 65 degrees. The mountain has a lot of rock and climbing mixed with transverse, steep and exposed veins. There are also ice walls that can sometimes require fixed ropes. Camp 2: Camp 2 is located at 6200 m. On a narrow ridge. So there is no fear of avalanches. From Camp 2, there is an ice climb with 35-65 degrees for about 400 meters with ice walls and crevices. Take note of the avalanche danger of big sear dangling from the 6500m shoulder. Camp 3 and summit: Camp 3 is at 6850m. Generally, it is windy around the camp. Also visible from the campsite is the Tibetan plateau. For the summit push, prepare the rope that may be needed to cross many crevices and ice walls. Of the two ranges – that of Nepal is easier than the Tibetan side. Summit of the mountain on its summit at 7145m. The trek until Phunki is an easy walk. From here we ascend towards Tengboche village which houses the very famous Tengboche monastery which is the biggest monastery of the Everest region. It is located within the Sagarmatha National Park which is a UNESCO World Heritage Site. The monastery is blessed with panoramic views of the Himalayas, including Mt. Everest, Nuptse, Lhotse, Ama Dablam and Thamserku. The Tengboche Monastery opens at 3:00pm, so if we reach there by 3 o’clock we can observe a Buddhist religious ceremony. After all decends pass through rhodedodron trees until deboche. Our trail descends and passes through lush forests of birch, confer and rhododendron trees. While trekking we can admire good views of Mt. Everest, Lhotse, and Ama Dablam. We walk downhill to Debuche and cross the Imja River to reach Pangboche. 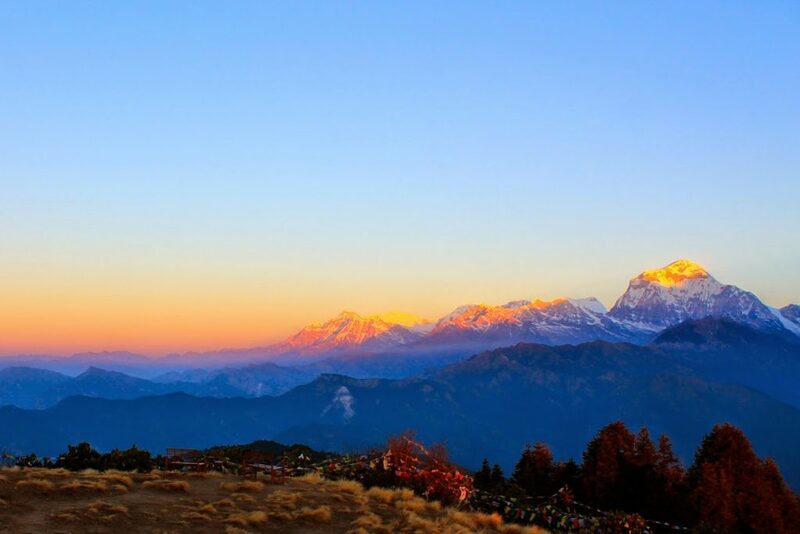 We choose the upper Pangboche trail and admire the Himalayan vista and the Pangboche Monastery. We continue our walk to the Imja Valley and Lobuche River before ascending to Dingboche. It is a picturesque village with beautiful barley, potato and buckwheat fields complete with grazing animals dotted along those fields. This day is set aside just for acclimation. This will help chances to go higher. Today, we climb a lot above the village of dibgbuche because it is well suited to give us a good hiking experience. After a climb to the top of the hill, we are rewarded with great views of the Himalayas, and back to Dingbuche. We start the day with a gradual climb to Thukla at the end of the terminal moraine of the Khumbu Glacier. From here, we climb up a steep trail to lobuche pass, where we find an array of stones with prayer flags used as memorials to Scott Fischer (American mountaineer) and 10-time Everest submitter Babu Chiri Sherpa (Nepali mountain guide) who perished on a mission to climb Everest. Next, we continue to the Khumbu Glacier moraine and find ourselves facing several great peaks – Khumbutse, Lingtren, Pumori and Mahalangur Himal. We do not provide a day-to-day itinerary for the climb period, as this will be determined by the expedition leader and members. Guides will take a flexible approach based on what fits with climbers’ and their own experience. Typically, the team will spend a few days at the base camp organizing food, practicing rope skills, and acclimatizing before moving above the base camp. At least three camps must be placed after the base camp in order to reach the summit. The base camp is just above Gorekshep at an altitude of 5300m. After leaving base, the first camp will be set up at an altitude of 5,650 m, at the phase of Mt. Pumori. The second camp will be at the ridge after the phase, an altitude of 6,000m. The most technical part of this peak is around Camps 1 and 2. Camp 3 will be at an altitude of 6,480m, around a corner after the ridge. We start to walk classic trail to the decent via Gorakshep, Loboche to Dingboche. Opposite the Ama Dablam 6812m, considered one of the most beautiful mountains in the world. We walk much easier as we descend to the lower altitudes. Following the same route back through the wide valley of Khumbu Khola, we pass through the beautiful Sherpa villages, Shomare Pangboche and Tengoche. We continue through the hillside blanketed by rhododendron and juniper trees. After crossing the bridge over the Dudh Koshi River, our trail follows the Dudh Koshi gorge descending rapidly through the pine forests before reaching Sansa. We keep a lookout for wildlife such as mountain goats, snow leopards, colorful pheasants, etc., while passing through the forest. After passing a chorten, we reach the army camp at Namche Bazaar. We catch an early morning flight to Kathmandu after our long mountain journey. After reaching in Kathmandu transfer to hotel. We will start visit you to several of the most historical and spiritual attractions in Kathmandu which are also listed World Heritage sites. We visit the sacred Hindu temple of Pashupatinath, and Buddhist shrine (Bouddhanath), which is also one of the largest stupas in the world. In the evening you have welcome dinner to celebrate success of your Expedition.